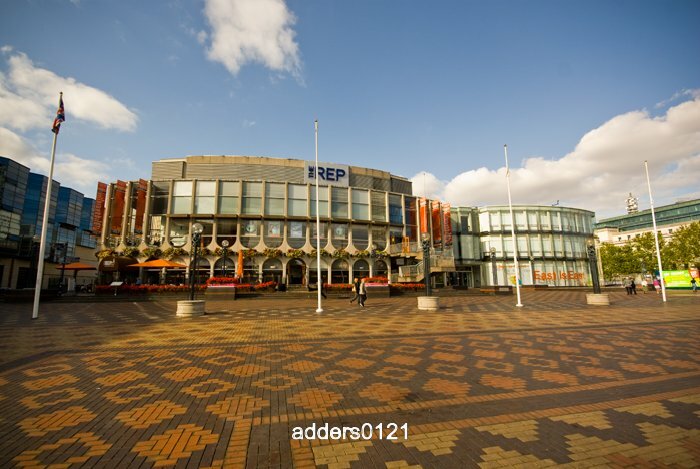 Now, Centenary Square was the best way I could pin a location on this report, as it actually covers Baskerville House, REP Theatre, and the future site of the Library of Birmingham. 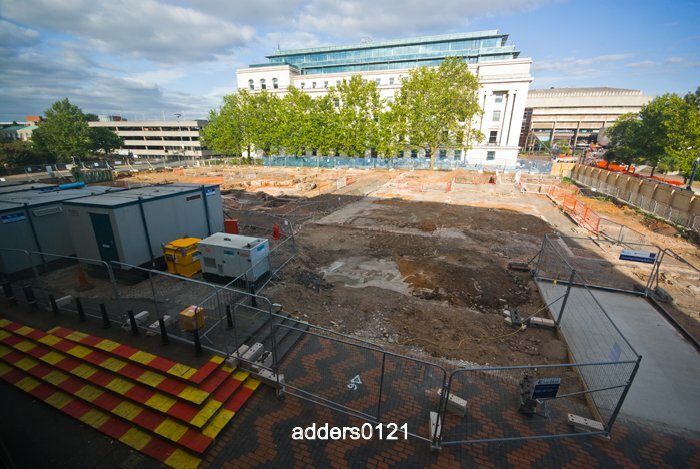 With the impending change of Centenary Square over the next 4 years with the construction of the new library I thought I'd post the photos as the "before" with the "after" to follow in, well, 4 years I guess. I know any old person can rock up and check out the building site as it stands, so I've included some internals from BH, along with rooftop shots from both BH and the REP to add some perspective, plus history as I come across it. 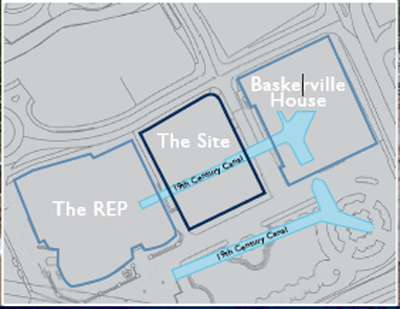 The site was originally occupied by the home of John Baskerville (printer and typographer). 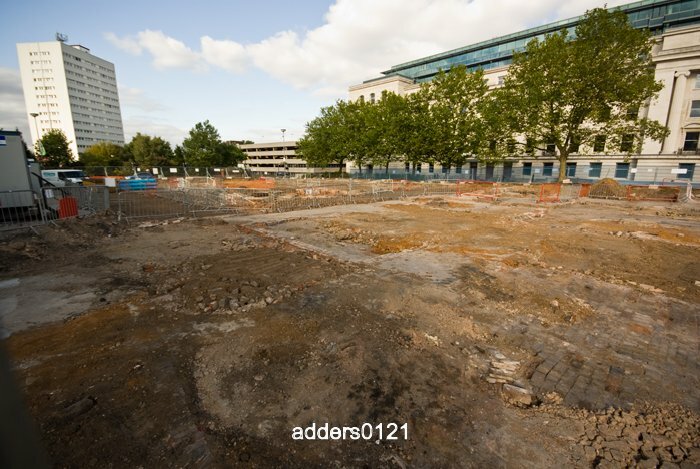 The site adjacent to the canal, on the site of Baskerville House, was purchased by the Birmingham Aluminium Company who constructed Baskerville Basin. Gibson's Basin was also constructed nearby to serve a rolling mill. The city council bought the land in 1919 for a new Civic Centre. Baskerville Basin was filled in but Gibson's Basin remained. 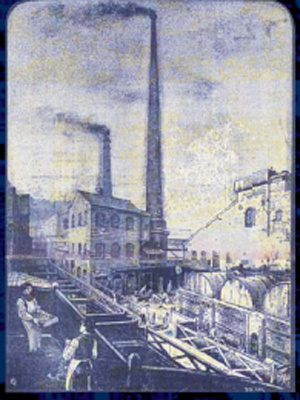 However, in 1936, Winfields Ltd decided to relocate to Icknield Port after taking over Vivians Rolling Mills. 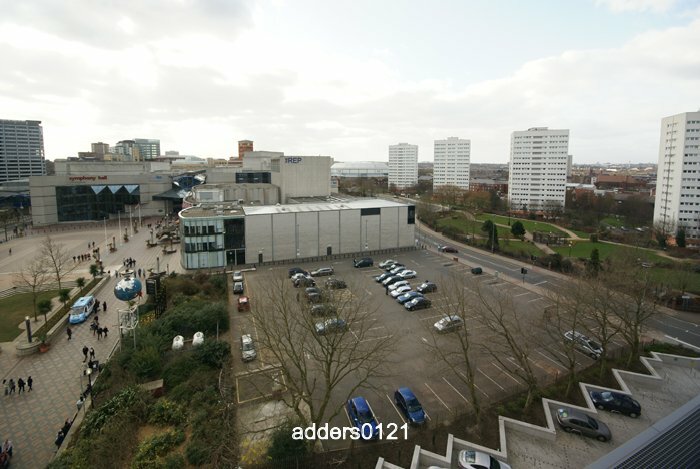 They abandoned the remainder of Gibson's Basin to Birmingham City Council who filled it in for their Civic Centre plans. In 1926, the city council organised an open competition for the new layout of the Civic Centre, however, many of the designs were deemed 'Too Ambitious'. As a result, the city engineer was asked to work with the architects of the Hall of Memory, S.N. Cooke, to create a better design. 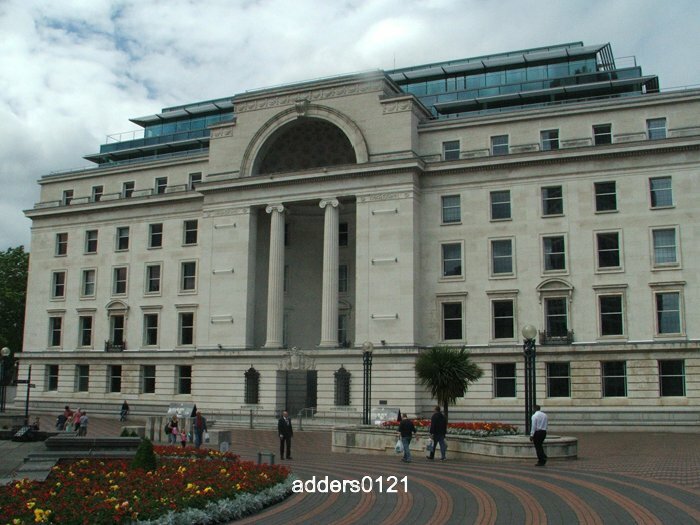 T. Cecil Howitt of Nottingham was asked to design the first building, which was to become Baskerville House. This was approved in 1936 and construction began in 1938. 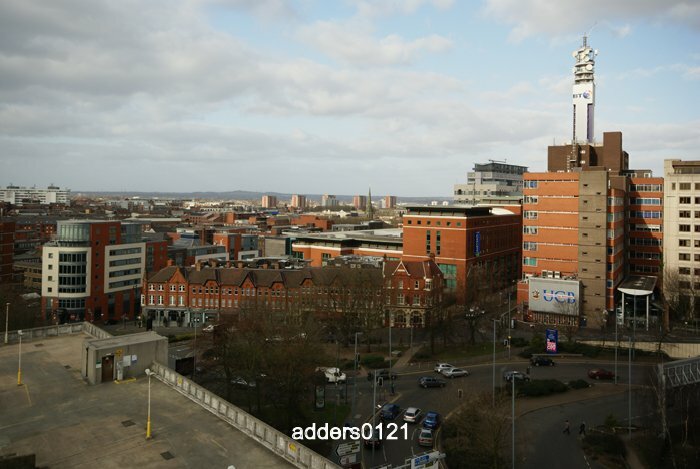 It became the only component to be built from the plan for the Civic Centre which would have covered all of Centenary Square and the Convention Centre, and included the Masonic Hall (1926-7 Rupert Savage) (demolished 2008) and Birmingham Municipal Bank (recently TSB) building (1931-3 also T. Cecil Howitt) on Broad Street. World War II halted construction of Baskerville House (hence the rear brick wall, intended to be temporary), and after the war the use of Roman Imperial imagery on public buildings went out of fashion. . 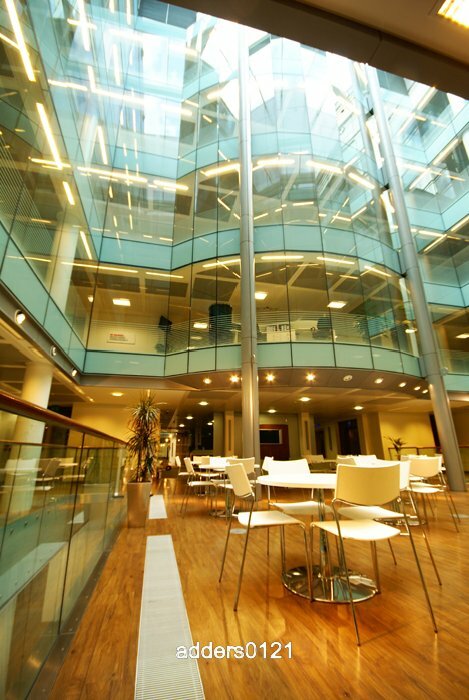 Formerly offices for parts of Birmingham City Council, including the Planning Department and Economic Development Department, the Grade II listed building. remained vacant for several years after the City Council vacated the property in the spring of 1998. 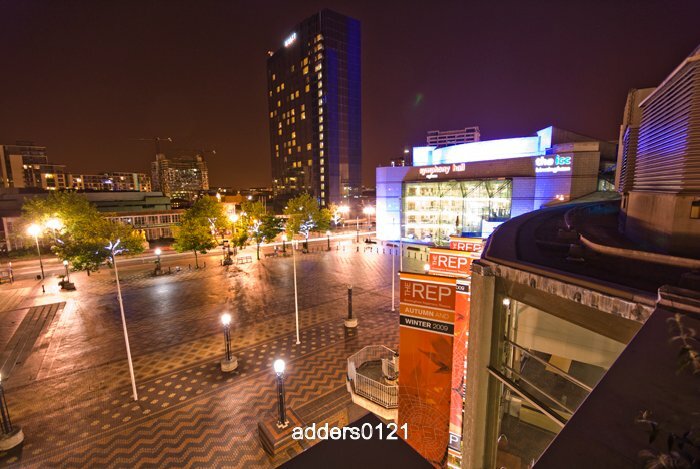 The initial refurbishment plan proposed conversion to a Radisson Edwardian Hotel. A survey into whether it was possible to locate the Central Library was carried out, and the building was deemed to not be suitable as it would not be strong enough to hold all the books. 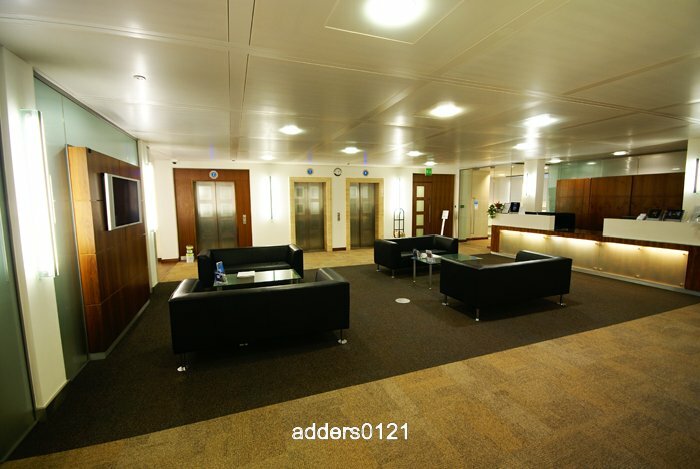 The building was subsequently sold to Targetfollow who proposed to convert into offices. This was approved and it was completely gutted and extended two floors upwards to provide office space on seven floors, and a health club in the basement. 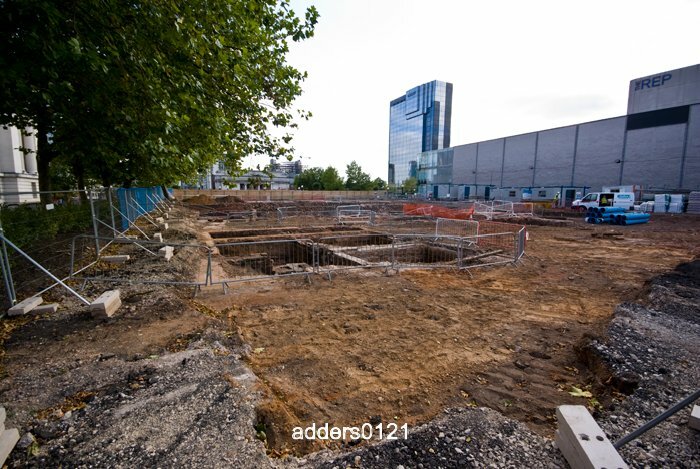 Work started in August 2003 and was completed in early 2007 at an estimated cost of Â£30 million. 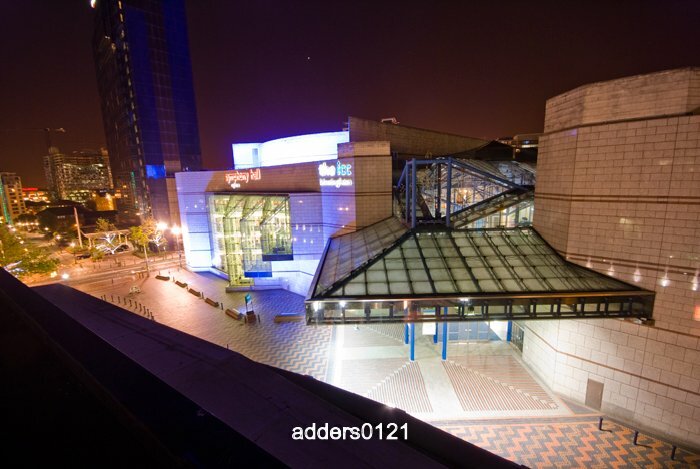 The front from Centenary Square, next to the War Memorial. Company reception on one of the floors. 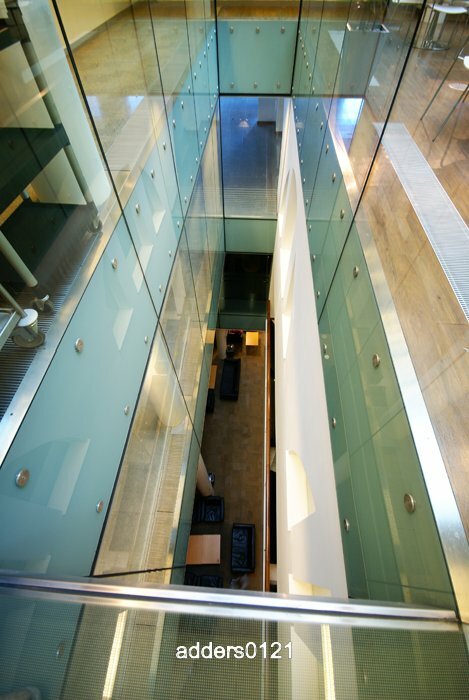 Looking down from the canteen to the lower floors. 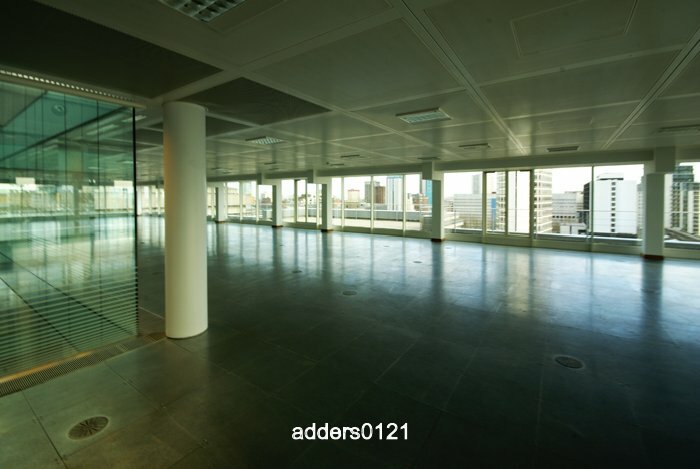 Top floor empty office space. Central canteen, looking up at the upper floors. 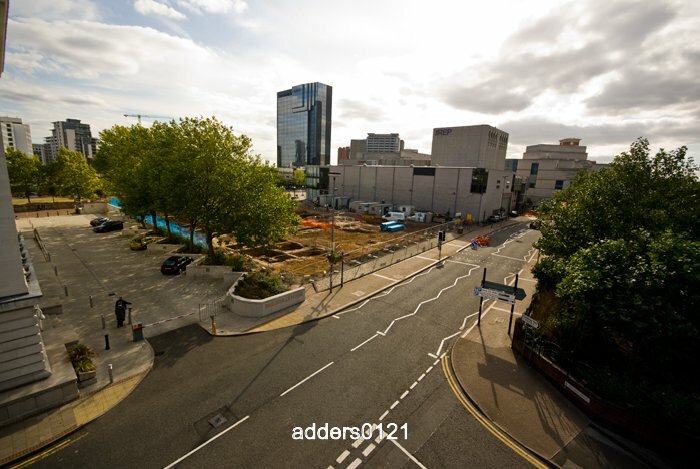 Future site of the Library of Birmingham. 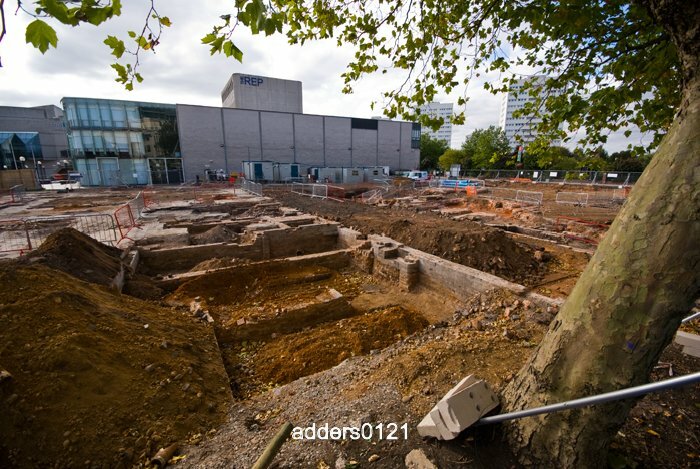 This is what the University Archaelogical team have uncovered so far. 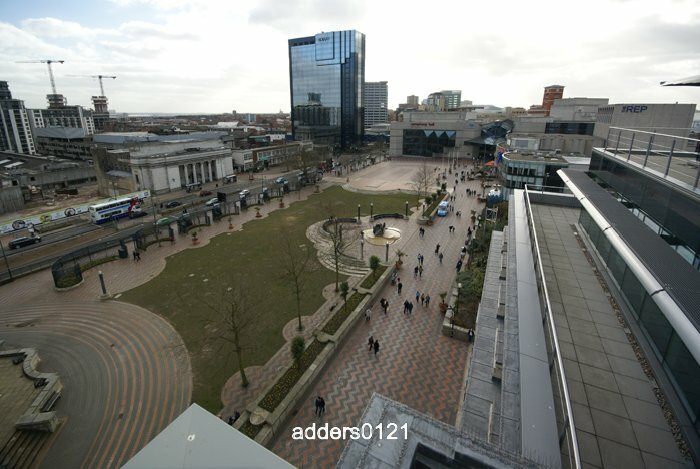 An old survey map of what Centenary Square looked like before it was, Centenary Square. 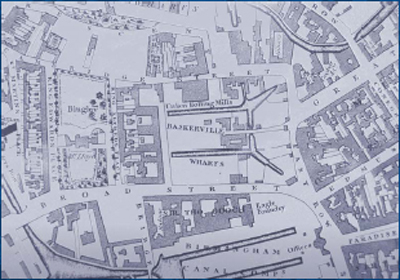 It shows two canal legs, named Baskerville Wharfs as it was originally the site of Easy Hill house, designed by John Baskerville in 1745.The building to the east of the site was the former location of the house (where Baskerville House now stands) whilst the archaelogical site was the location of the gardens. The house was demolished at the end of the 18th century. A radical change took place in the landscape of the area and it was transformed from a rural idyll to a burrowing hive of industrial activity. 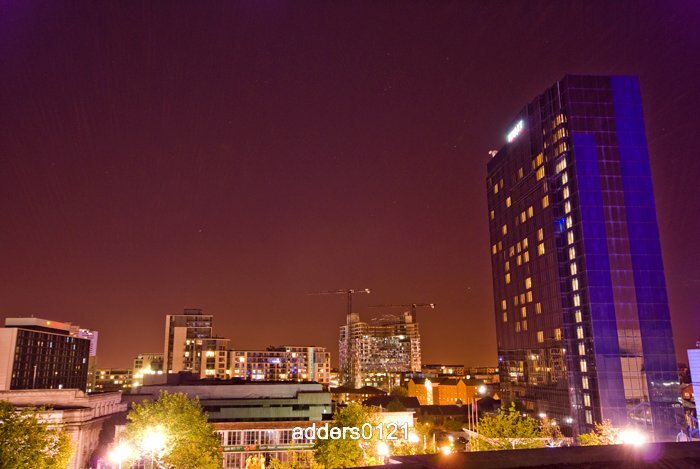 New canal arms were built into the site, stretching from the Birmingham and Fazeley Canal to the north under what is now Paradise Circus and Baskerville Wharf was created. A modern representation of where the canal wharfs sit in relevance to the current look. Street. The site passed into the hands of Robert Winfield by the 1830s. Winfield’s was principally a brass manufacturer but became engaged in metal rolling, gas fitting, brass foundry, carpentry, and wire manufacture. new branch of manufacture, the brass bedstead. By 1849 Winfield’s was large enough to hold two stalls at the Birmingham exhibition, and two years later displayed their wares at the Great Exhibition at the Crystal Palace. After a slump in trade at the end of the 19th century, Winfield’s Cambridge Street Works went into receivership, and in 1897 the various buildings were auctioned off. Cambridge Street, over to the dig. Various images of the findings dug up on the site. 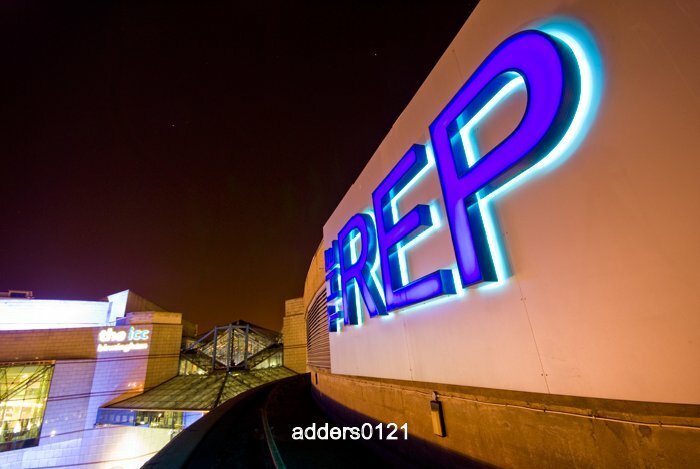 Birmingham's Repertory Theatre (1971) is going to be an intricate part of the new library. The glass fronted hospitality section of the building (right hand side) is to be leveled and rebuilt as part of the Library, with a new 300 seat auditorium being included. 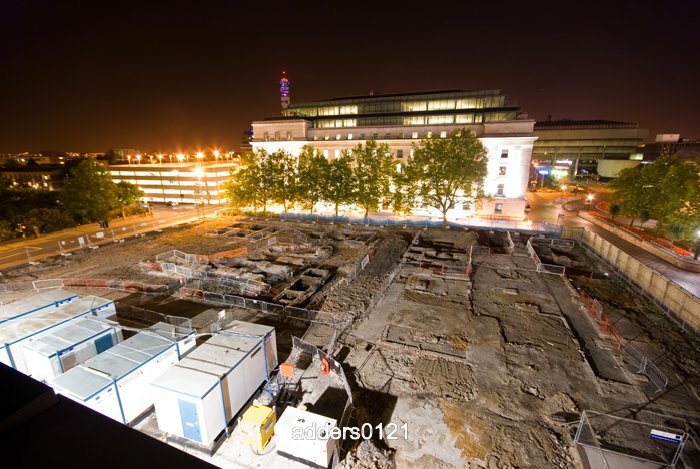 The archaelogical site from the REP Theatre rooftop. 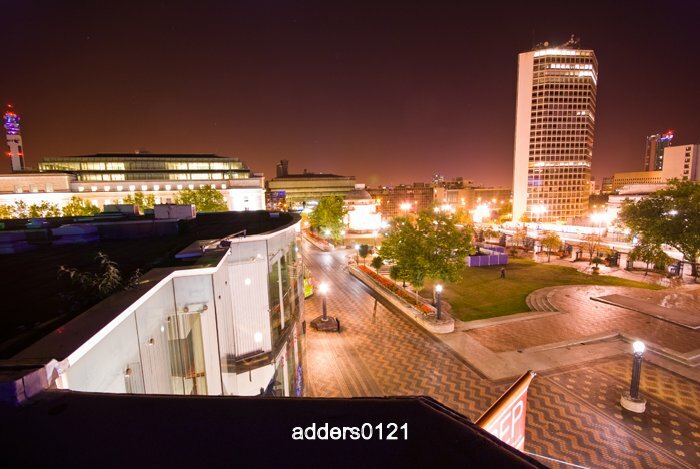 Over Centenary Square. The ampitheatre is going to be built somewhere in/under this. The Cube and Hyatt hotel across Broad Street. Centenary Square out the front of the REP.
Future excavations in Centenary Square are planned as building work progresses, which I much look forward to, as it seems so rare and far between that councils take an active interest in researching and seeking out history before they completely destroy it. And at least the development for once isn't to be "luxury" apartments. I hope this has been at least a good read for some people, and that the photos help to some extent. 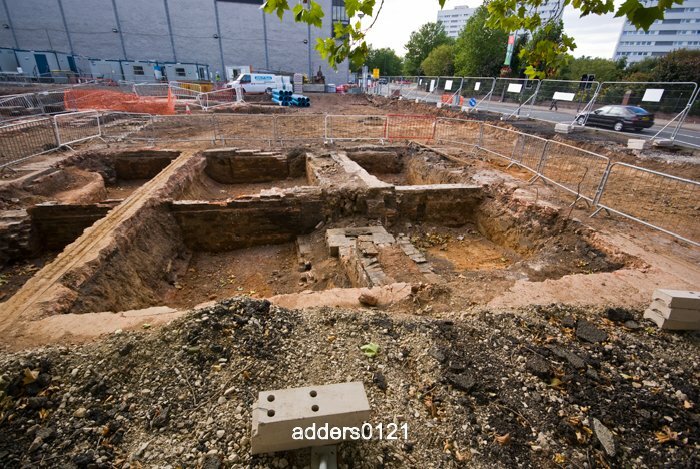 There's further reading on the archaelogical site here: http://www.barch.bham.ac.uk/projects/libraryofbirmingham.html Which is also where I sourced a lot of the historical content.